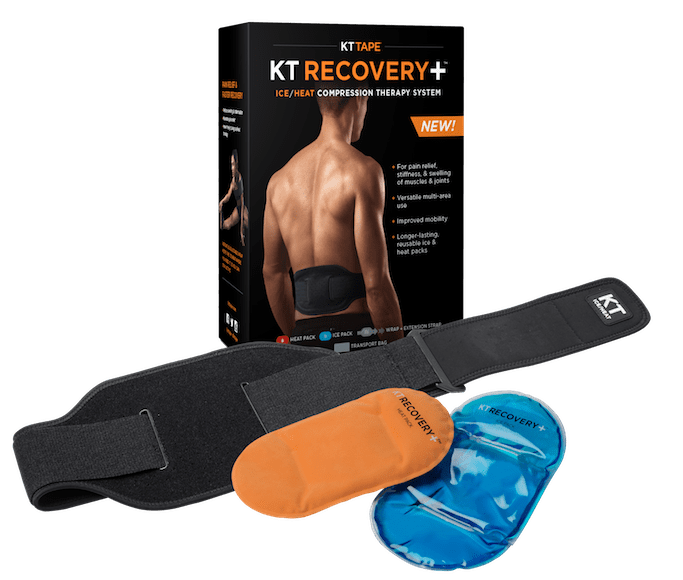 KT Recovery+™ Ice/Heat Compression Therapy System is a new way to treat muscles for peak performance or to speed recovery from a challenging workout or injury. KT Recovery+™ Ice/Heat Compression Therapy System’s adjustable design provides ice/heat therapy to a wide variety of targeted body areas. 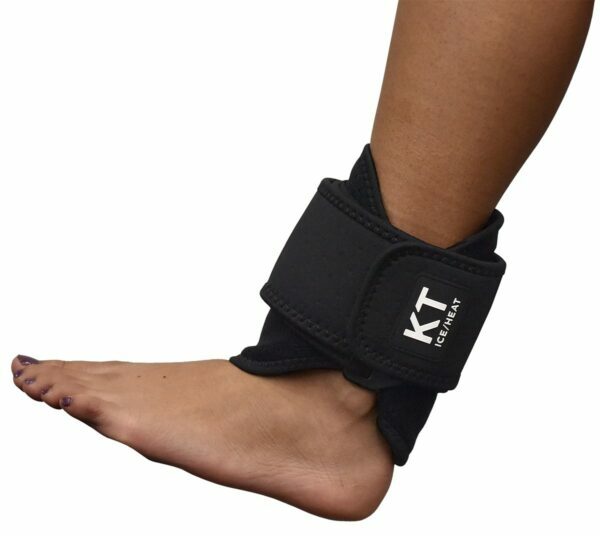 Unlike other ice/heat therapy products on the market, KT Recovery+™ Ice/Heat Compression Therapy System is portable and allows for increased mobility and easier use before, during, or after physical activity. Ease of application allows users to ice or heat specific to an activity. 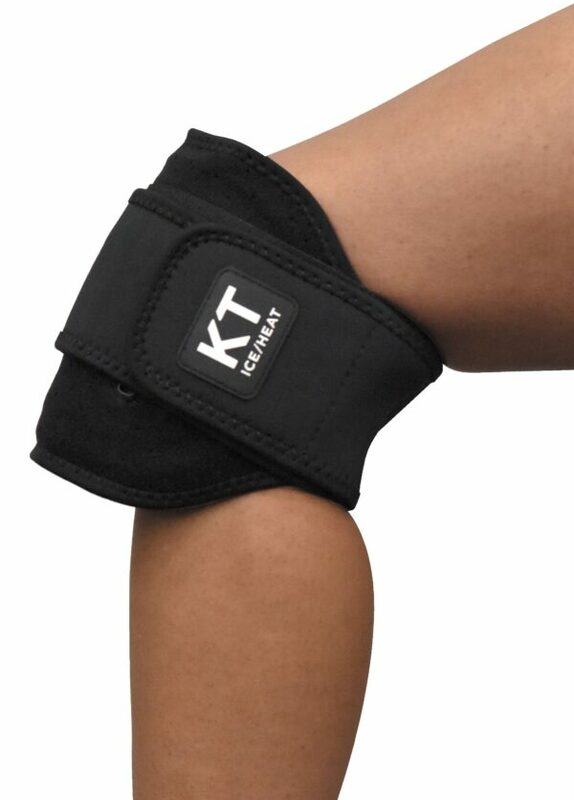 Provides immediate pain management and recovery benefits. Adjustable design provides a snug fitting wrap that can be worn to provide ice/heat therapy to a wide variety of targeted body areas. 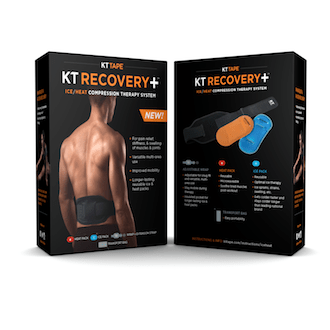 KT Recovery+™ Heat Pack – a dedicated microwaveable heat pack that is reusable to soothe tired muscles post-workout. KT Recovery+™ Ice Pack – a dedicated freezable gel pack that is reusable and stays cold longer. Use gel pack to ice sprains, strains and swelling. 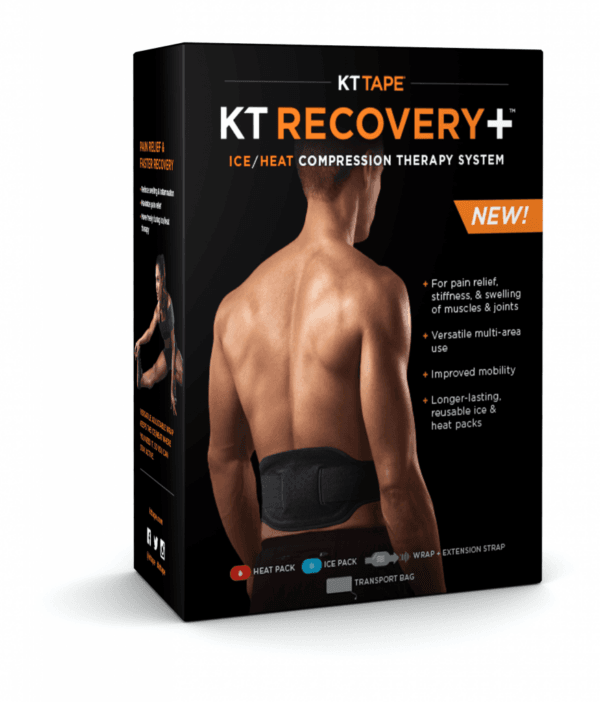 The KT Recovery+ Ice/Heat Wrap System provides a better way to treat sore or injured muscles with hot and cold therapy. No more need for inconvenient bags of ice or heat packs that you need to hold in place. This versatile wrap can be lengthened or shortened to fit a variety of different targeted body areas, and the wrap stays in place hands-free so that you can stay active. The reusable ice and heat packs included maintain their temperature longer in the insulated pocket build into the wrap. The strap extension and transport bag are also included for convenience.